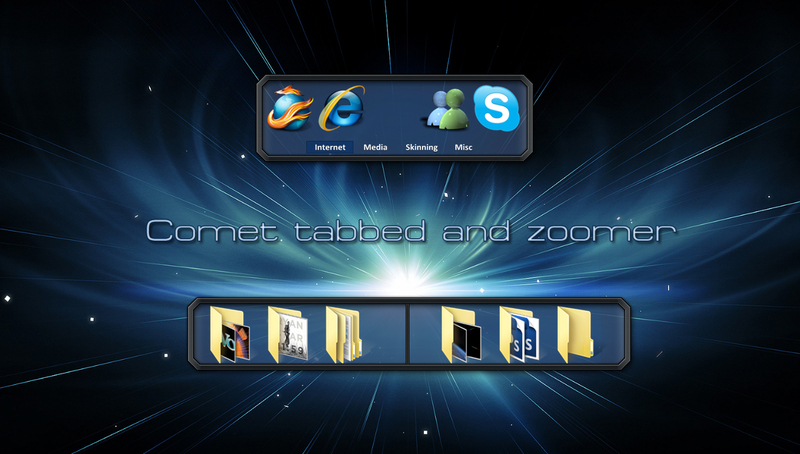 There are 2 versions for the tabbed dock. 1 for OD1 and 1 for OD2. Make sure you apply the correct one! Love this whole series, my new A#1 skin set. There does seem to be a rather aggravating issue, though, at least for me. I keep the tabbed dock (OD2) at the top edge of the screen in autohide mode, but when I bump the top of the screen the tabs drop down but, and this is the aggravating part, there is a gap between the top of the tabs and the top of the screen. So when I bump the top my cursor ends up in the gap and the tabs close and reopen and close and reopen and .......... Bummer.